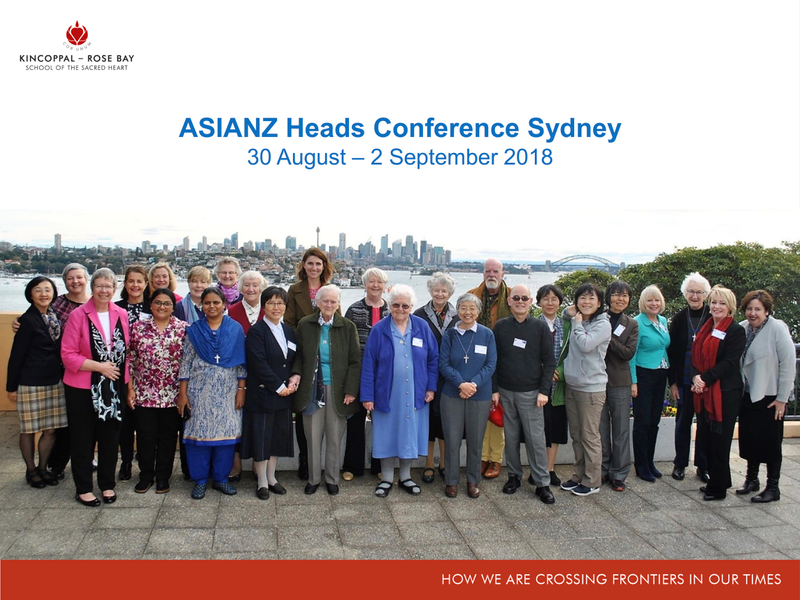 The ASIANZ Conference held at Kincoppal-Rose Bay School of the Sacred Heart in Sydney on 30th August to 2nd September brought together delegates from Australia, India, Japan, Korea, Taiwan and New Zealand. Joining the delegates were two keynote speakers, Sr Gerardette Philips rscj from the Area of Indonesia, and Sr Suzanne Cooke rscj, from the Province of the United States and Canada. During our gathering in Sydney we responded to the Society of the Sacred Heart’s 2016 General Chapter who have called us to commit to our values and goals as educators. We explored the issues that each of our regions face in culture and context, and how we are crossing frontiers through our network. Drawing inspiration from the 2016 Chapter Calls, the delegates shared an in-depth analysis of Sacred Heart education in their own home context in furthering the Society’s mission to reveal the love of God in the world. The keynote speakers offered further insights into the call to cross religious frontiers by embracing interiority, as well as to cross the frontiers of globalization by equipping youth with essential skills. These skills include critical thinking, creativity, openness to silence, and sensitivity to Mystery. In the face of natural disasters, the significant shifts in the geo-political landscapes and world population, large-scale conflict and wars, income-inequality and discrimination, and the constancy of change, we all see the necessity of working together. All delegates want to collaborate as they draw upon the values of Sacred Heart education in the formation of future decision makers who will address these challenges with hope.